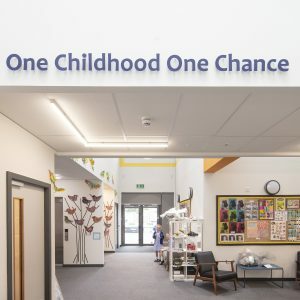 The McAvoy Group, one of the UK’s leading offsite specialists, has delivered a new two-form entry primary school for Ramsgate Arts Primary School, which provides state-of-the-art facilities for up to 420 children to support its focus on the arts. Part of Viking Academy Trust, Ramsgate Arts Primary is a new free school which offers an exciting curriculum with an emphasis on the arts. Built offsite by principal contractor McAvoy, this bright, modern and spacious building was funded by the Education & Skills Funding Agency. It has created an exemplar learning environment for children from reception to age 11. Designed by Blue Sky Architects, the new facility reflects the school’s vision for the arts and will be a valuable community resource. 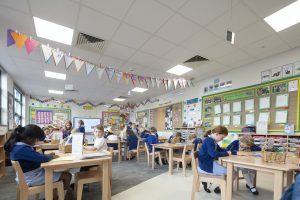 It has a dance studio, general classrooms, main hall, spacious staff room, offices, kitchen, small group rooms for special educational needs, and multi-functional open learning areas. A key design feature was to have a library running through the heart of the school. 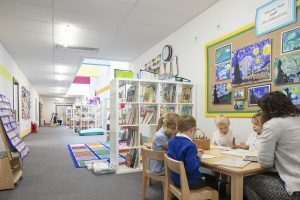 This was achieved by organising the classrooms as two linear bands either side of a ‘learning corridor’ which has created additional learning spaces, break-out zones and a focal hub in the centre of the building.